"We want to teach the world to play." 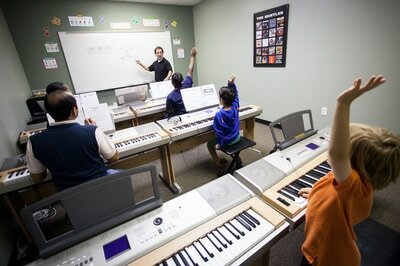 Family Piano Academy (FPA) is the spot for piano lessons in Raleigh and the Triangle area. Established in 2007, FPA serves hundreds of families in its studios and in many great after school programs as well. FPA has two beautiful locations: the main studio at 10320 Durant Road, Ste 101, Raleigh NC 27614 and a small satellite studio at 1637 Glenwood Avenue, Raleigh NC 27608. "Emphatically recommended! Amazing instructors, and an in-house curriculum that can't be found anywhere else." Our highly-credentialed staff boasts an assortment of agile, professional educators with years of teaching experience. With over 20 piano teachers, we offer everything from classical, modern, jazz and blues, gospel, pop, songwriting and composition, and more. Get to know us in the staff bios! Our curriculum is unparalleled. 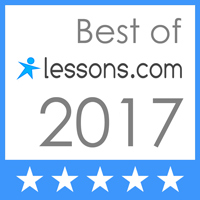 Created by our founder, Gerry Diamond, the Diamond Piano Method teaches students to not only read and perform written music with great technique, but also to understand the fundamentals of music theory in a way that allows students to improvise, compose, and figure out their favorite music "by ear". 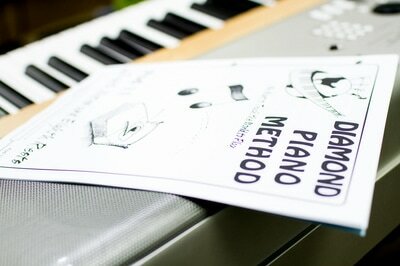 The Diamond Piano Method is supplemented by an incredible online component at DiamondPiano.com. This online resource includes thousands of videos, games, and self-checking tests that support every aspect of the method. Accessible by computer, tablet, and phone, it's like having your teacher with you wherever you go! The structure of our lessons provides the flexibility that families need. We are available for lessons all day, 6 days a week (Mon-Sat). We are accommodating to home schoolers, after schoolers, and adults! Our main studio has 11 lesson rooms, allowing us to serve families with multiple musicians in the most convenient, time-saving way possible. In addition to our staple offering of private piano lessons, FPA also offers duet and group classes to serve students who prefer to learn in a group. "Education is our one and only focus at FPA. We're not here to sell you keyboards or sheet music. We're here to help you learn music and to enjoy it - plain and simple." Though highly encouraged, all FPA recitals and other performance opportunities are optional, so a student can shine when they are ready. Public and In-House Recitals - These happen several times throughout the year at various music stores, coffee shops, retirement homes, and other locations including our very own studio. FPA Block Party - May through August, these outdoor recitals feature a free cookout with awesome music from FPA students, all under the setting sun. Annual Little Red Benefit Concert - Since 2009, the Little Red Benefit Concert has been FPA's largest performance. Over 50 talented musicians, songwriters, and composers participate each year with their own original music. FPA has been able to raise thousands of dollars for programs such as American Association for Cancer Research, the music program at the Governor Morehead School for the Blind, Shepherd's Table Soup Kitchen, and more. Songwriter Workshops - Several times a year, instructors of Family Piano Academy will host a songwriter and music sharing workshop for intermediate/advanced students who enjoy songwriting and sharing their own original music. Learn about composition techniques while also meeting like-minded musical peers who you can collaborate with while under the guidance of veteran songwriters and musicians.